DOZENS of free events including workshops, seminars, coffee mornings, film screenings and sports events will form part of the first ever Health and Wellbeing Week in Kerry, which is being organised by the HSE and Kerry County Council. The week will coincide with World Mental Health Day and runs from October 6-14 October at venues across the county with Tralee hosting a wide variety of events. The first of its kind in Kerry, the Health and Wellbeing Week aims to promote a positive sense of wellbeing and will highlight mental health services and supports which are available to people in need in the county. Everyone is encouraged to take time out to learn, talk, reflect, and engage with others around the topic of mental health and wellbeing, and to encourage anyone with mental health issues to reach out and avail of supports and services available. Kerry’s first Health and Wellbeing Week was launched today by Mary O’Mahony, Director of Nursing of the HSE and the Cathaoirleach of Kerry County Council, Cllr Norma Foley. 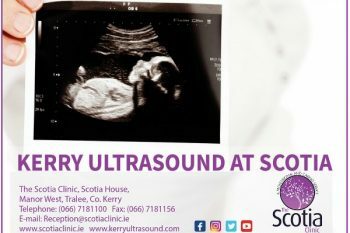 The events are supported by Cork-Kerry Community Healthcare, through Connecting for Life, and by Kerry County Council, through Healthy Kerry. 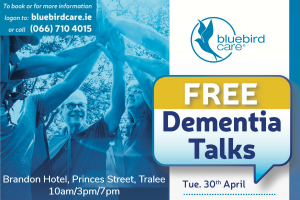 11am – 12.30pm, Manor West Hotel, Tralee. Learn about volunteering in your local area. Explore how volunteering enhances physical, emotional and mental wellbeing. The Tralee Bereavement Support Group will host this talk delivered by the Social and Health Education Project. All welcome, refreshments kindly sponsored by the Meadowlands Hotel. Contact Lorraine Bowler: 066 7180190. 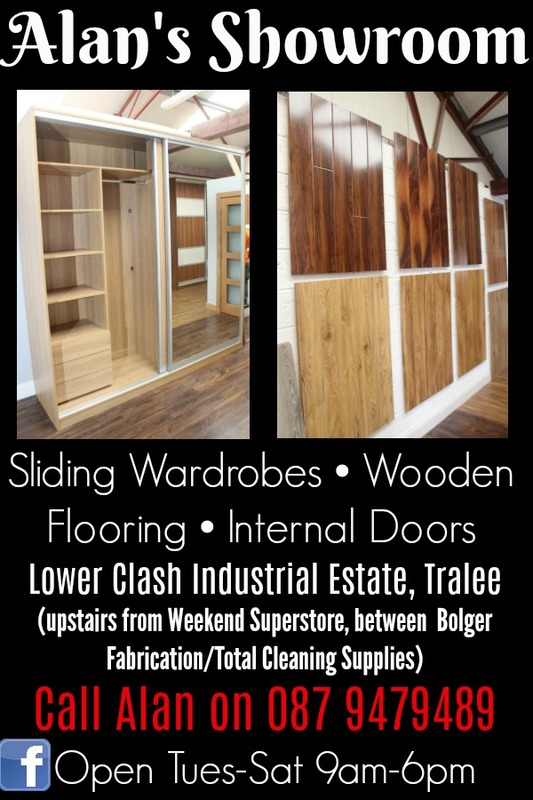 11.00am – 1.00pm, Community Development Project, Upper Rock Street, Tralee. Supporting you to talk, share information and find ways through life’s challenges. Information about support services will be available. 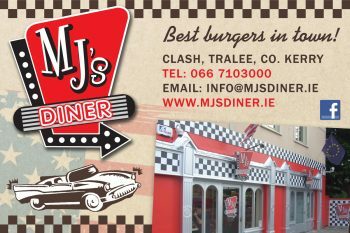 All welcome, contact 066 7120877. 10.00am, Tralee International Resource Centre, Boherbee, Tralee. Women’s Group host a coffee morning. All welcome, contact 066 7127918. 10.30am – 11.30am, Rahoonane Community Centre, Tralee. A discussion on recovery from mental distress to wellness. All welcome, no registration required. 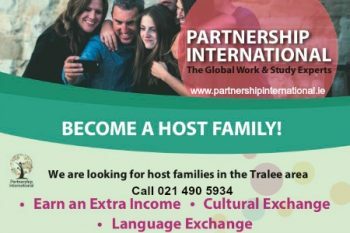 Contact Sinead 066 4011110 kpsninfo@gmail.com. 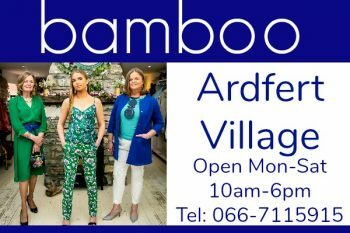 1.00pm – 2.00pm, EmployAbility Upper Rock Street, Tralee. Learn more about PSYCHED (Positive Support You Can Have Every Day), an initiative centred around mental health and wellbeing in the workplace. Light lunch provided. Registration essential, spaces limited. Contact Kerry EmployAbility Service, 066 7118758. 7.00pm, The Rose Hotel, Tralee. Hosted by Kerry Women’s Interactive network, with guest speaker Dr Cliona Loughnane, the National Women’s Council of Ireland. No registration required, refreshments kindly sponsored by The Rose Hotel. Contact Lorraine Bowler: 066 7180190. Listowel writer Judith Carmody will read from her book and present on its key messages, followed by questions and answers. Aimed at adults, no registration required. See http://www.co-bully.com/ to learn more. Hosted by Parent Action and Care, a support group for parents and family members of children with mental health issues, including eating disorders. This talk delivered by Bodywhys will explain the different eating disorders and how to support a person with an eating disorder. No registration required, contact Joyce: 0873846392. 7.00pm, Tralee International Resource Centre, Boherbee, Tralee. The International Friends Group will host this talk by Life Coach Astrid Longhurst. All welcome. Contact 066 7127918. This workshop will help you understand and take charge of your own mental health. The workshop (aimed at adults) is for anyone and everyone as we all have mental health! 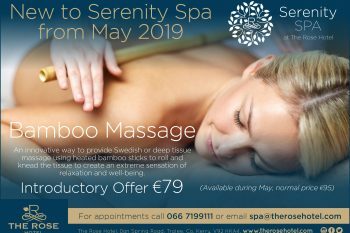 Registration essential, via this link https://tinyurl.com/TraleeWellness Contact Lorraine Bowler: 066 7180190. 2.00pm – 4.00pm, Kerry Volunteer Centre, 7 Maine Street, Tralee. Come along for a cuppa and a chat at our open afternoon to discuss local volunteering opportunities throughout Kerry.